Do you or your company have old computers (working or not), monitors, printers, flash drives, parts, or other equipment that you don't need any more? We refurbish old computer equipment for M-A students who do not have access to a computer at home. Since the program started in 1999, the M-A High PTA has supplied over 10,000 computers to deserving students at our local public high schools, plus ten carts - each with 38 laptop computers - to the Science department, about 50 computers for classroom mini-labs, dozens of network laser printers to replace ancient classroom inkjet printers, networking equipment, digital cameras for students in the Digital Photography class, and thousands of USB flash drives for students to save their files to print at school. We also provide free software for math, science, and word processing. Families whose children receive free or reduced-price lunch at school can sign up for Comcast Essentials internet for $10 per month. More information about this program is available here. Internet is also available at $10 per month from ATT for families who receive SSI or have a disabled adult in the house, even if they have no school-age children. We securely erase all information from the hard drives before loading new software and distributing them. Donations are tax-deductible and we provide receipts. • Networking equipment - switches, routers, wireless network adapters, cables, etc. • Many other miscellaneous items - please email or call and ask if you have other equipment or software to donate. We can provide a tax-deductible receipt for anything you donate. 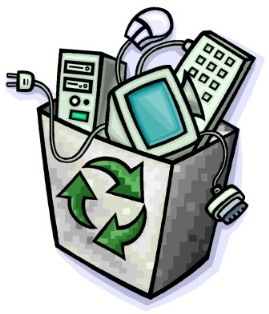 If you need to donate items that we cannot accept (such as ancient computers, inkjet printers, or old-fashioned CRT monitors), you can dispose of them (at no cost to you) at Recology in San Carlos, or at most Staples office supply store locations, including the one on El Camino Real in Menlo Park. If you have one item (or a truckload!) to donate, please contact Sue Kayton at 650-853-1711 or computerdonations@mabearspta.org. To request donation of a computer, or computer repair, please have your teacher contact Sue via email. Thank you to our many corporate donors for helping bridge the digital divide. The Menlo-Atherton PTA is a dynamic organization, working in close partnership with the Menlo-Atherton High School administrators and staff. Membership is open to all parents, school administrators and staff, and members of the community.